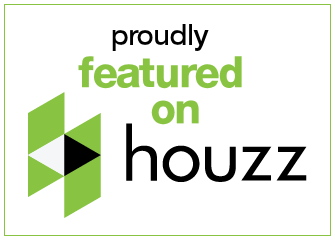 Do you have a specialty shaped window in your home? Windows in the shape of triangles, arches, angles, and half-moons are a popular decorative element in homes throughout the Birmingham MI area. To maintain their beauty, some people like to keep them uncovered. However, there are many circumstances when a specialty shaped window needs some type of window treatment. You may enjoy the view from your large arched window, but need to block sunlight or maintain privacy during part of the day. Or, during the winter, that specialty shaped window might let in too much cold air. 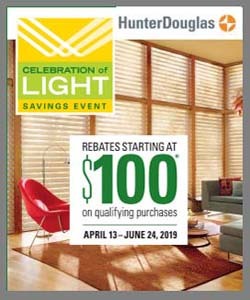 As your locally owned Hunter Douglas dealer, we carry a variety of window coverings for specialty shaped windows. 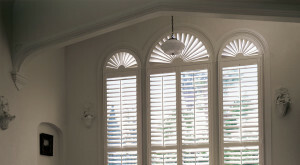 Shutters can dress up a specialty shaped window and allow it to still have its dramatic effect on the room. 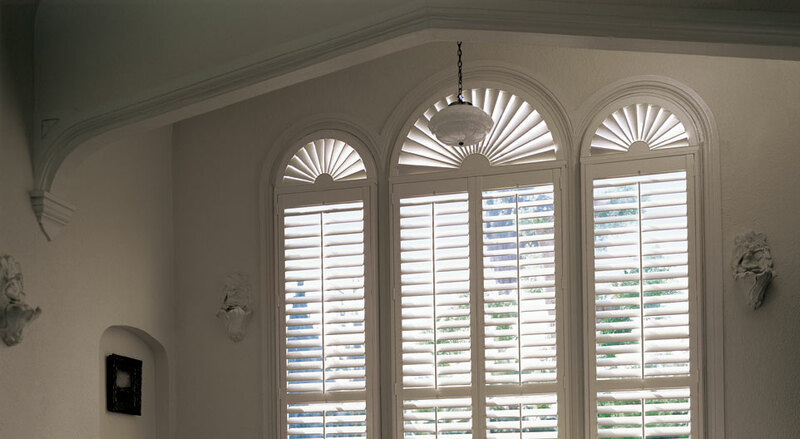 As a Hunter Douglas Gallery dealer, we have several shutter collections that will work well on your specialty shaped windows. A popular option is our Bridgeway® Specialty Shapes. With operable louvers that coordinate with our wood and hybrid shutter collections, you can cover your arched windows seamlessly. Hunter Douglas Design Studio™ Roman Shades come in four distinctive styles, all available to be custom made for your specialty shaped windows. With a variety of fabrics that includes sophisticated textures, designs, stripes, rich solids and sheers, our roman shades work with any room décor. Fabrics are woven in widths that allow shades up to 96” wide without vertical seams. Our Duette EasyView® arches are as stylish as they are functional. With a revolutionary design that allows you to raise and lower the shade, you can maintain the look of your specialty shape while still enjoying light and privacy control. The honeycomb fabric runs horizontally in an EasyView arch, matching the other shades you have in your room.